This song has a cheeky, refreshing quality, and as the title suggests, is very much summer orientated, in the style of 'Wake up Boo' from years ago. 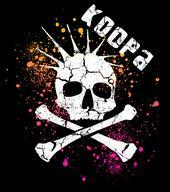 Three-piece band 'Koopa' were the first ever unsigned band to make the official top 40 chart in the UK, and this song makes it clear why. Their songs have a light-hearted infectiousness about them, and they leave you wanting to hear more.